NYE in the Park is back with party-starters The Presets and The Jungle Giants. Can you believe it’s that time of year again? As another chaotic year draws to a close, celebrate the arrival of 2019 with a park party like no other. NYE in the Park is back. After the success of 2017’s inaugural event, Sydney’s Victoria Park will once again be transformed into a fully functioning dance-floor to say adios to 2018 and bring in the new year. This year, the line up has expanded to include some of the nation’s best party-starters. Headlining the concert this year is local dance royalty The Presets. The “pub rock techno” group will join forces with other local dance floor starters Confidence Man and indie-rock darlings The Jungle Giants. Of course, it wouldn’t be a party without a throwback. Innovative disco mixer Hot Dub Time Machine is back and for those looking for a mellower celebration, Hayden James will be on hand with his clean sounds. Split across two stages the showcase of live music will be a continuous highlights reel of other established and up and coming talent including: One Day DJ’s, The Meeting Tree, Fleetmac Wood, CXLOE, Kinder, SOSUEME DJ’s and Sideboob. 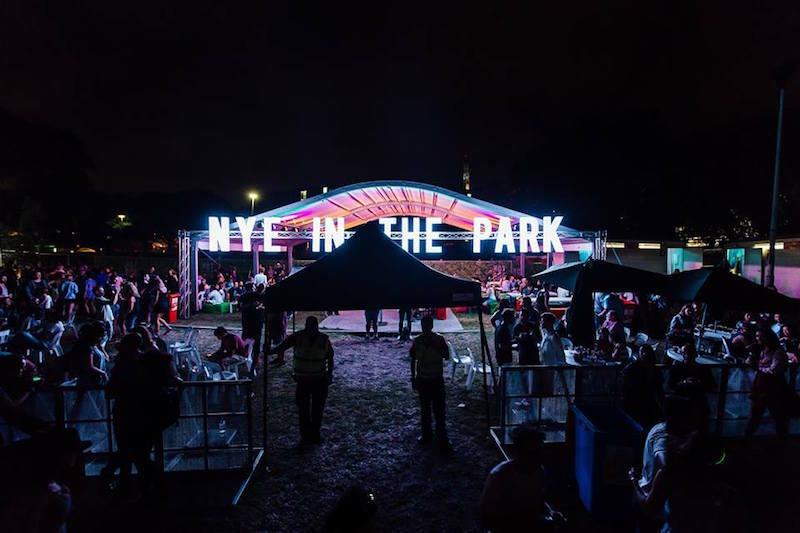 While New Year’s Eve for most is associated with expensive cab fares and sore feet, NYE in the Park offers lifestyle lovers the perfect drama-free oasis. Watching the sunset over the stunning Sydney skyline, enjoy a feed from one of the many gourmet street food options. Pair that with a plethora of affordable drink options and designated chill out zones, and you have yourself a hassle free New Year’s Eve.